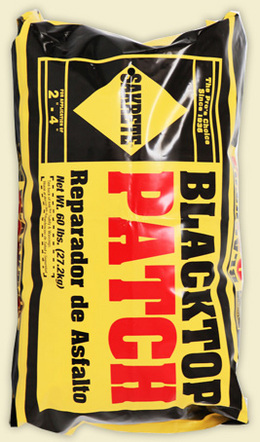 PolyPak makes special heavyweight industrial poly bags for asphalt and road patch products. These bags hold 50lbs, are made of a co-ex “V” ZUH™ and have a black oil resistant inner layer to protect the outer layer and surface print. Our “V” ZUH™ film provides up to 6 months of outside weather protection and has an excellent impact strength and tear/ puncture resistance. The outside glossy layer provides sharp quality graphics and has a non skid surface that can be stacked and shipped with confidence. The bags can be printed in up to eight colors (front and back) as well as wrap around printing.